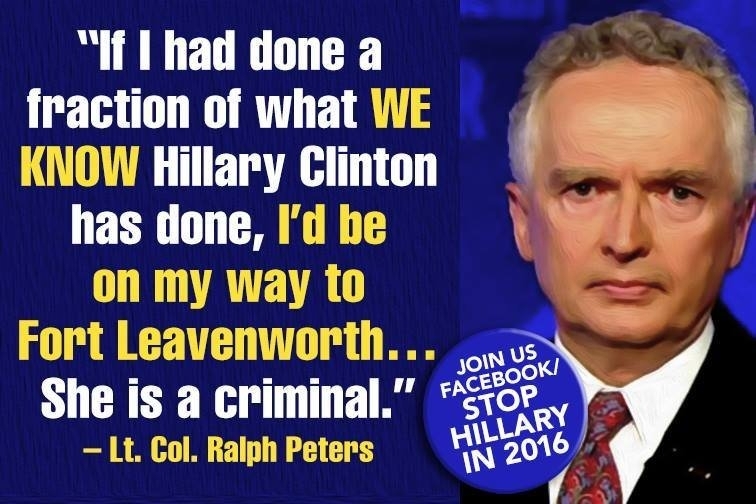 Col. Ralph Peters is a Fox News military analyst. “No matter how you slice it, these [Clinton] people were sucking up taxpayer money in some inventive ways that would put the average American in federal prison. It almost appears to be an organized crime shell-game, but as usual Democrats ask where’s the smoking gun?” noted former criminal investigator Cheryl Freedman. “Smoking gun or not, I’ve seen Americans locked up with less evidence than what I’ve seen here,” she added. Following the closed-door questioning of former Secretary of State Hillary Clinton’s top aide and confidante Huma Abedin by House of Representatives’ Select Committee on Benghazi, Rep. Trey Gowdy, R-South Carolina, released a statement. “The interview with Ms. Huma Abedin has concluded. She answered all questions posed by Members and staff, and the Select Committee on Benghazi greatly appreciates her willingness to take the time to voluntarily appear before the committee, as well as her service to the United States over a number of years. The information she provided will assist the committee in writing its final report,” Rep. Gowdy, a former prosecutor, stated. Although what started as an investigation into the tragic terrorist attack on a U.S. diplomatic mission that left four Americans dead, including Clinton’s “friend” U.S. Ambassador Chris Stevens, there have been other issues that came to light. One major subplot to the Benghazi incident was Hillary Clinton’s email and unauthorized Internet server as well as the suspicious activity at Bill Clinton’s so-called charity — the Clinton Foundation — that appears to be a large-scale slush fund for the Clinton family’s allies to draw paychecks while waiting for Hillary Clinton’s presidential campaign. Judith Rodin, Band’s client, was then president of the Rockefeller Foundation based in New York City, “which donated hundreds of millions of dollars to the Clinton Foundation, a fact which Mr. Band allegedly noted in his email to Ms. Abedin,” the Grassley letter noted. “(The) email evidence allegedly suggests that Ms. Abedin and Ms. Mills shared a desire to find a way to ensure the Department paid for Ms. Abedin’s travel to and from New York,” the Grassley letter states. Grassley also questions a payment of more than $30,000 that Ms. Abedin received from the State Department for leave she hadn’t used. However, there are questions unanswered about the times she took off from the State Department but worked for the Clinton Foundation or Teneo Strategies. The Iowa Republican pointed out that the Senate Judiciary Committee found evidence that Abedin had indeed taken leave during her time as a government employee, and it has led to questions about whether or not Abedin was entitled to taxpayer money in excess of $30,000, the annual take-home pay of many police officers not as fortunate to be connected to the Clintons. 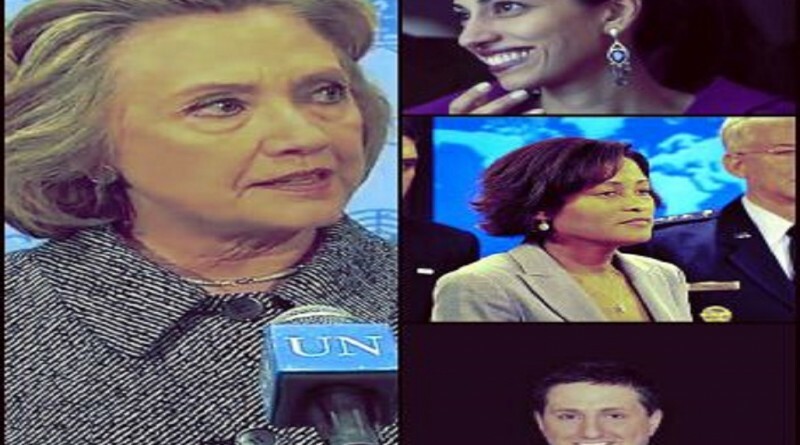 Critics have accused Hillary Clinton of, once again, bending the rules – in this case personnel regulations – to allow Huma Abedin to collect her government paycheck while wielding her influence to the benefit of her other employers who did business with the State Department. Grassley cited Hillary Clinton’s trip to Ireland with Huma Abedin for her last official appearance as secretary of State. While in Ireland Mrs. Clinton attended an event hosted by a major Clinton Foundation donor – under the guise of a charitable contribution – that was being promoted by Teneo. “No matter how you slice it, these [Clinton] people were sucking up taxpayer money in some inventive ways that would put the average American in federal prison. It almost appears to be a organized crime shell-game, but as usual Democrats ask where’s the smoking gun?” noted former criminal investigator Cheryl Freedman. “Smoking gun or not, I’ve seen Americans locked up with less evidence than what I’ve seen here,” she added. Hillary Clinton is a lying criminal and every member of Congress, including Trey Gowdy, are shielding her and her disgusting husband. We ALL know what happened and so do they. Wake up. They will NEVER be held accountable for their crimes and that includes Obama too. But they will all stand before God’s court someday and my only wish is that I get to sit on his jury. Nice read, I just passed this onto a colleague who was doing some research on that. And he just bought me lunch as I found it for him smile So let me rephrase that	Thanks for lunch!